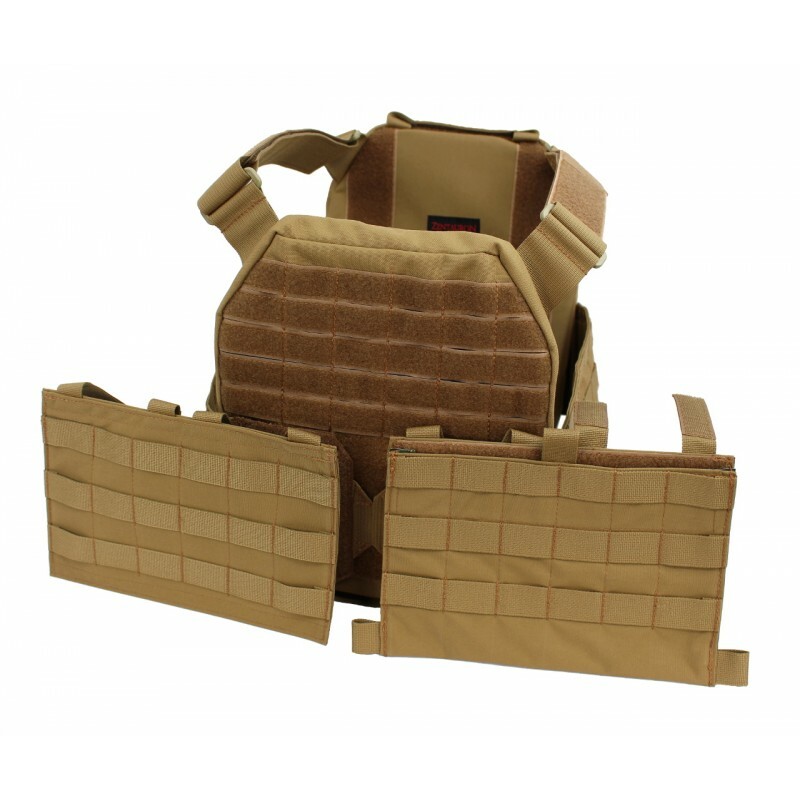 The Vulcan II basic set is designed as a minimal plate carrier and can be worn as a so-called Slick Plate Carrier under the outerwear. 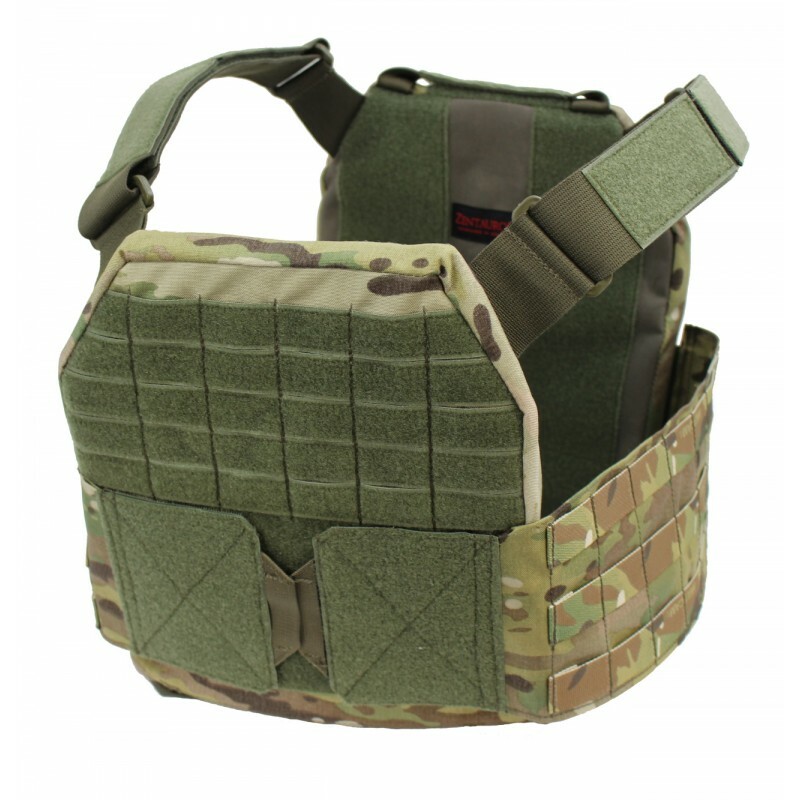 The Vulcan II integrates seamlessly into the entire Vulcan plate carrier system and is with its predecessor and its extensions 100% compatible. 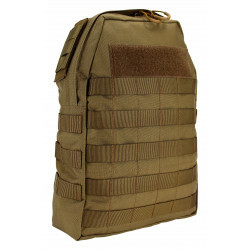 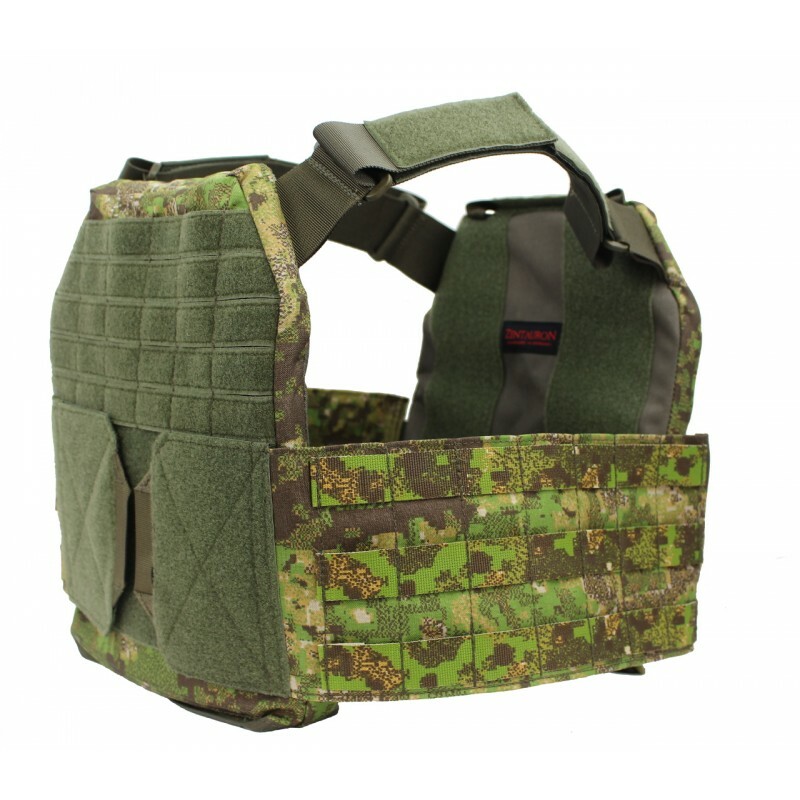 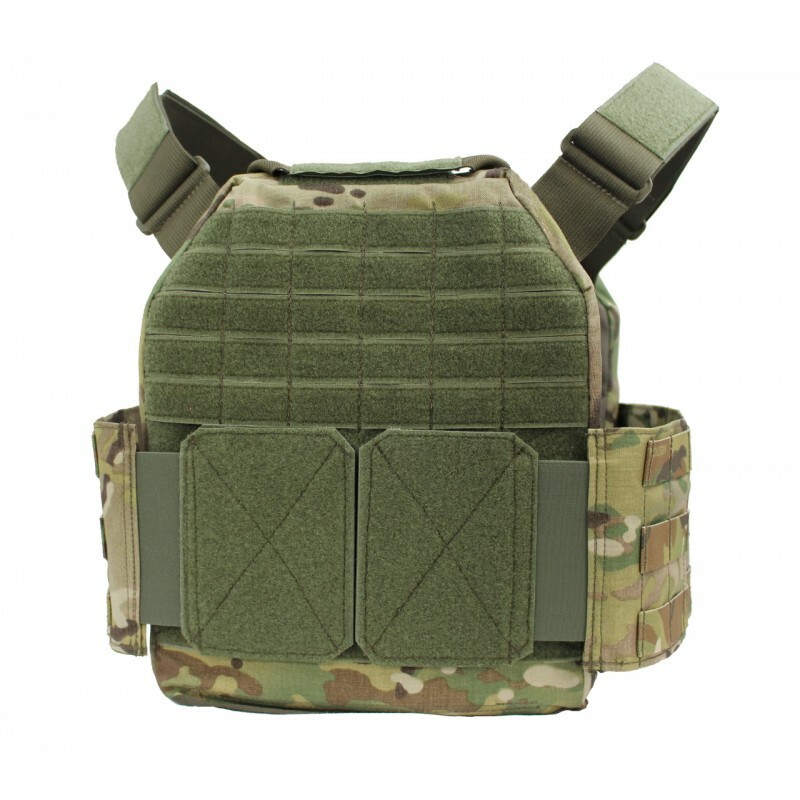 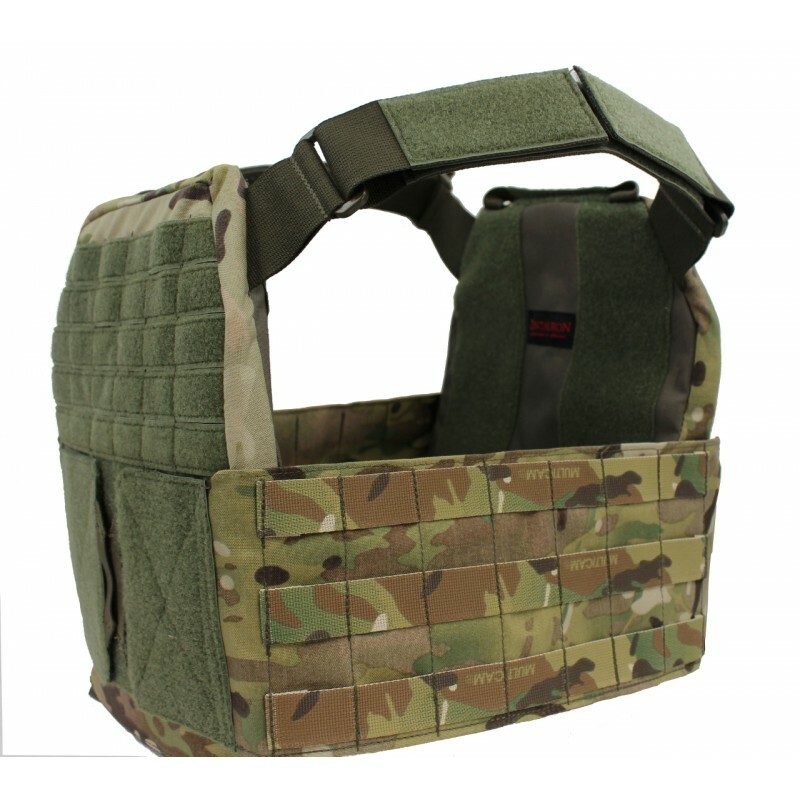 With the special accessories such as the Vulcan optional II Kangaroo Flap and Vulcan II MOLLE Flap the Vulcan II can be expanded into a full infantry plate carrier. 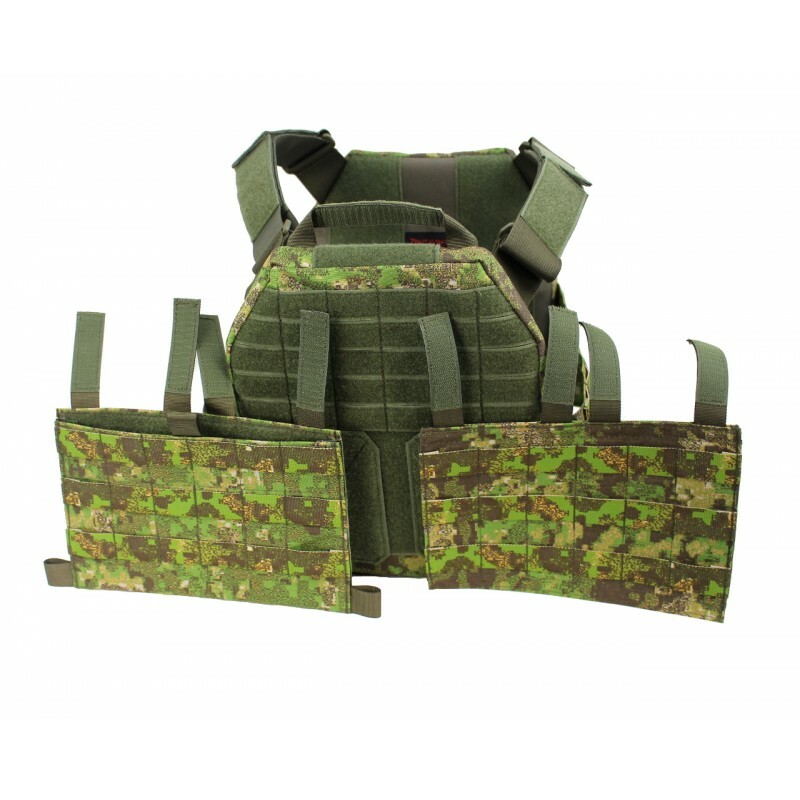 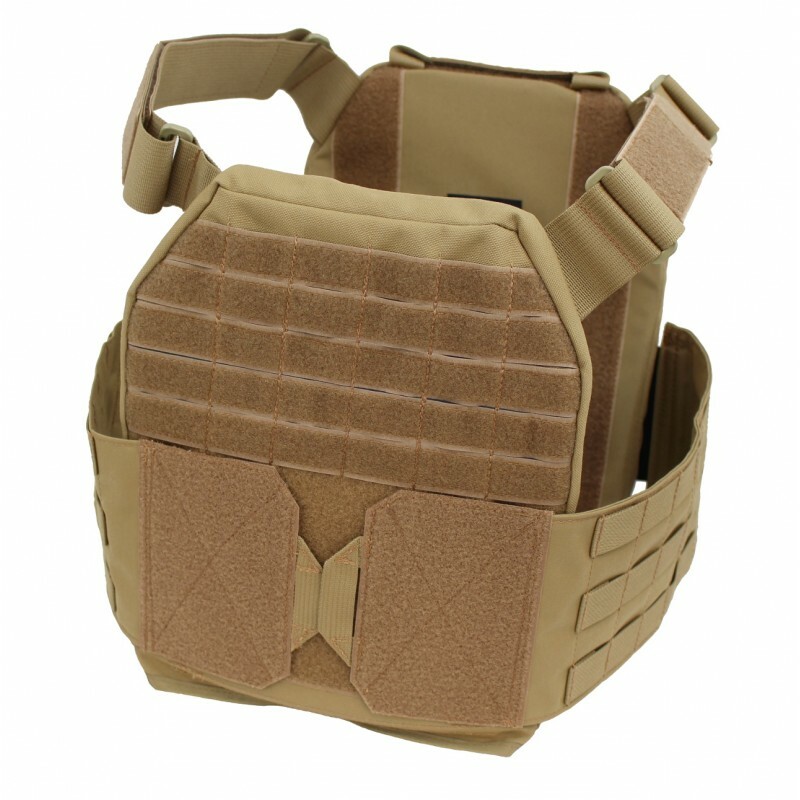 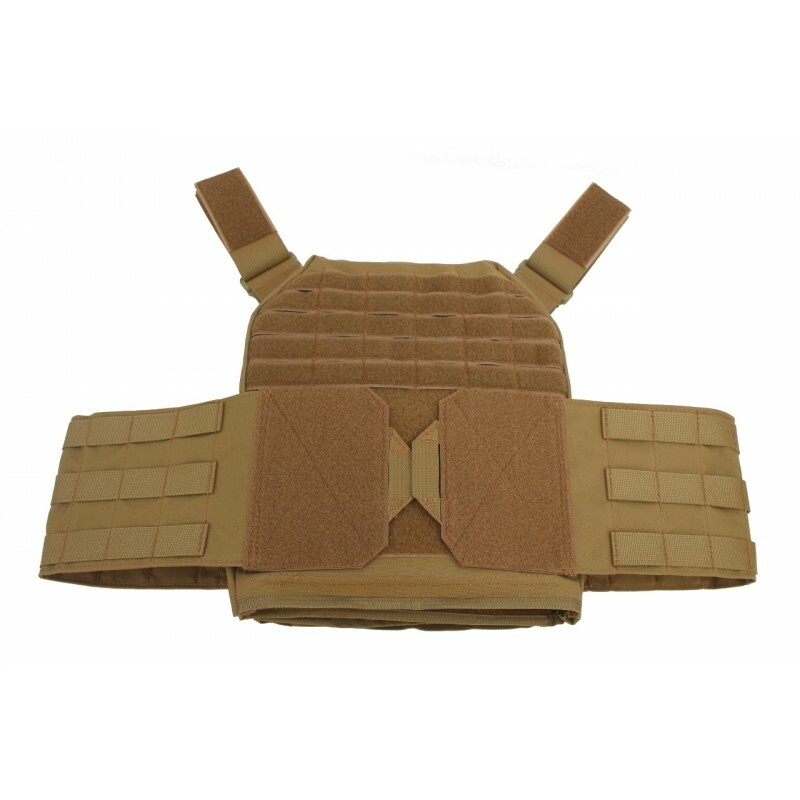 All components are also available separately, can be varied as desired, and are fully compatible with the predecessor plate carrier Vulcan. 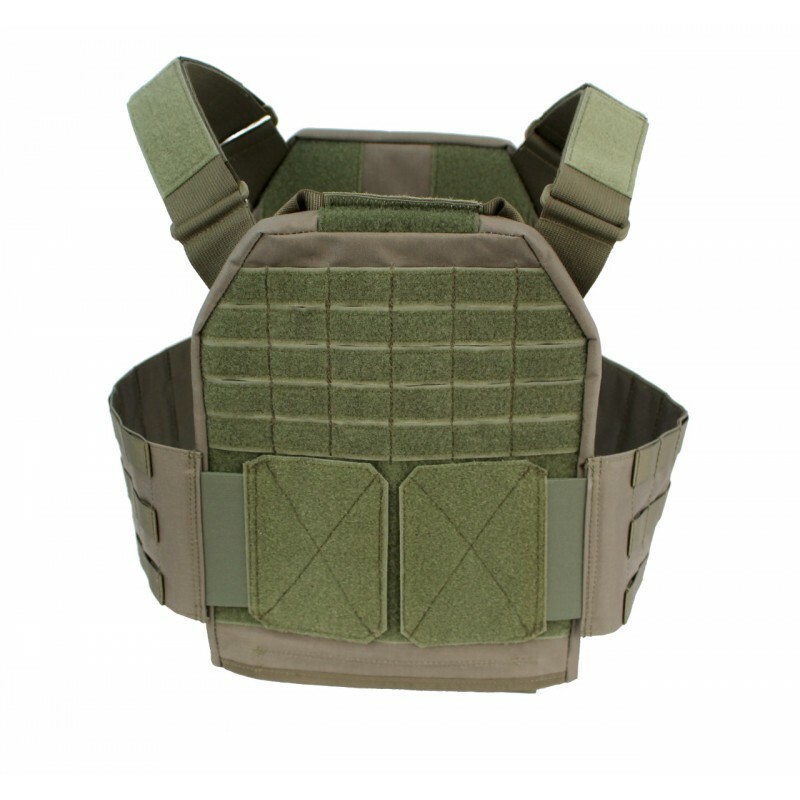 The Vulcan II back plate pocket is adapted to receive normal SAPI plates. 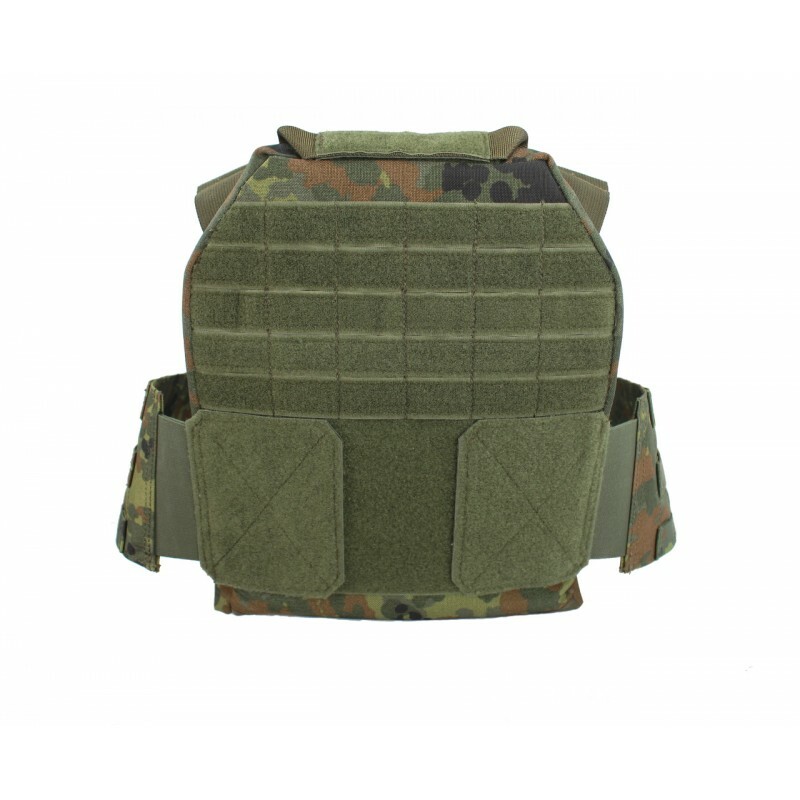 The front is completely covered with Velcro, of which the upper half Klett MOLLE is where can be Velcro parts and modular pockets fasten. 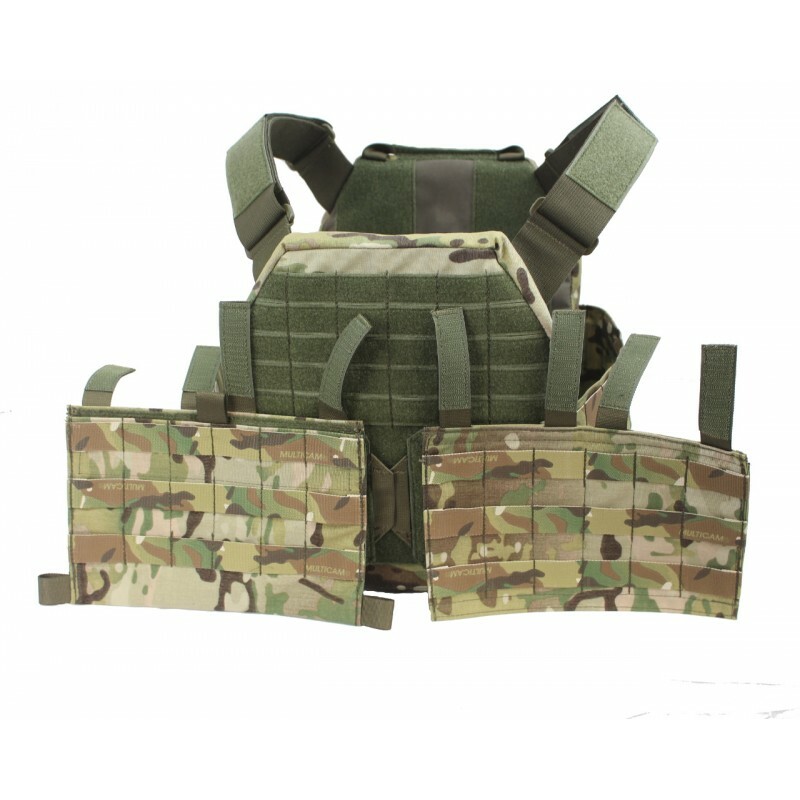 The optional Modularflaps leave here safely fasten. 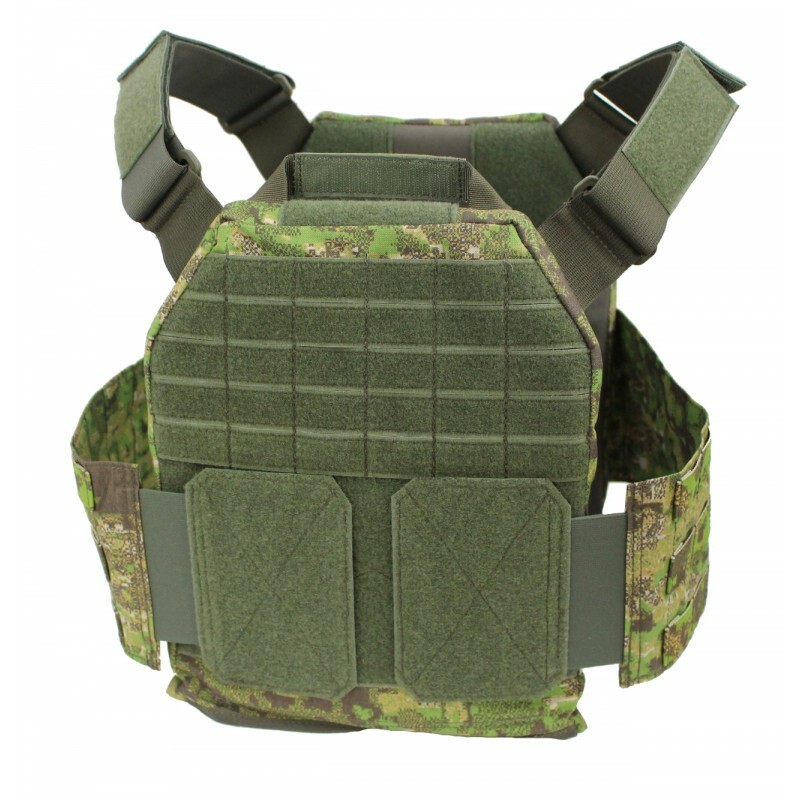 Due to this design, we achieve an extremely low profile. 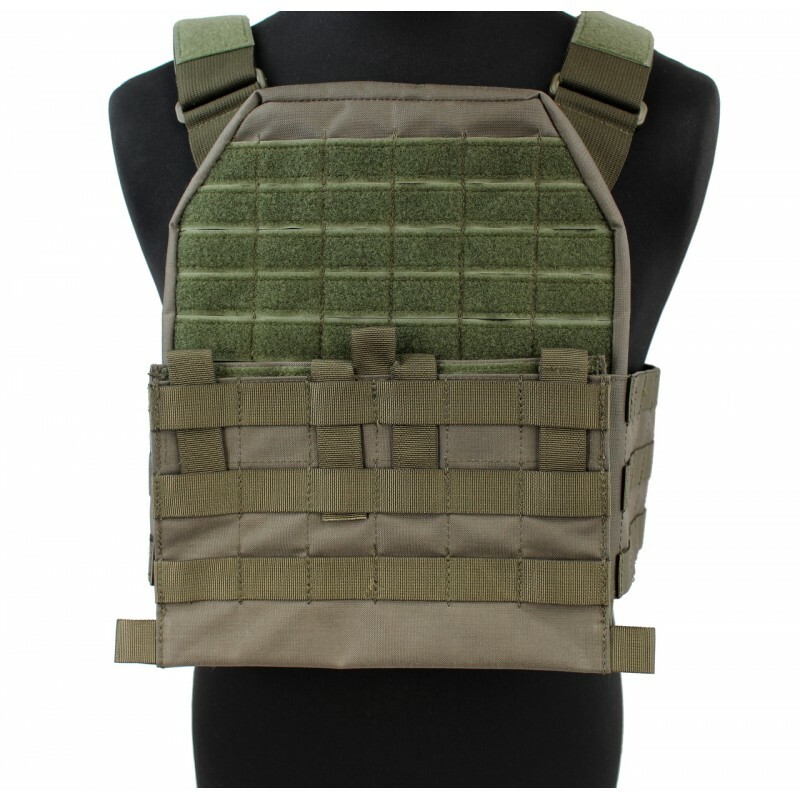 This allows the plate carry concealed under the normal outerwear. 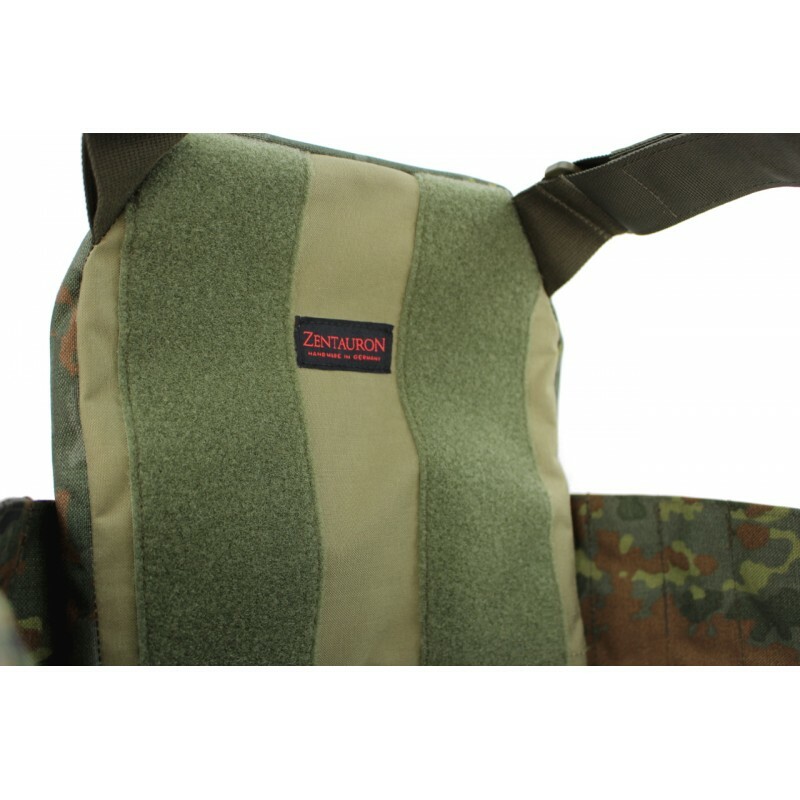 Inside are two generous Velcro strip on which can be Velcro in our modular padding for individual increase the wearing comfort. 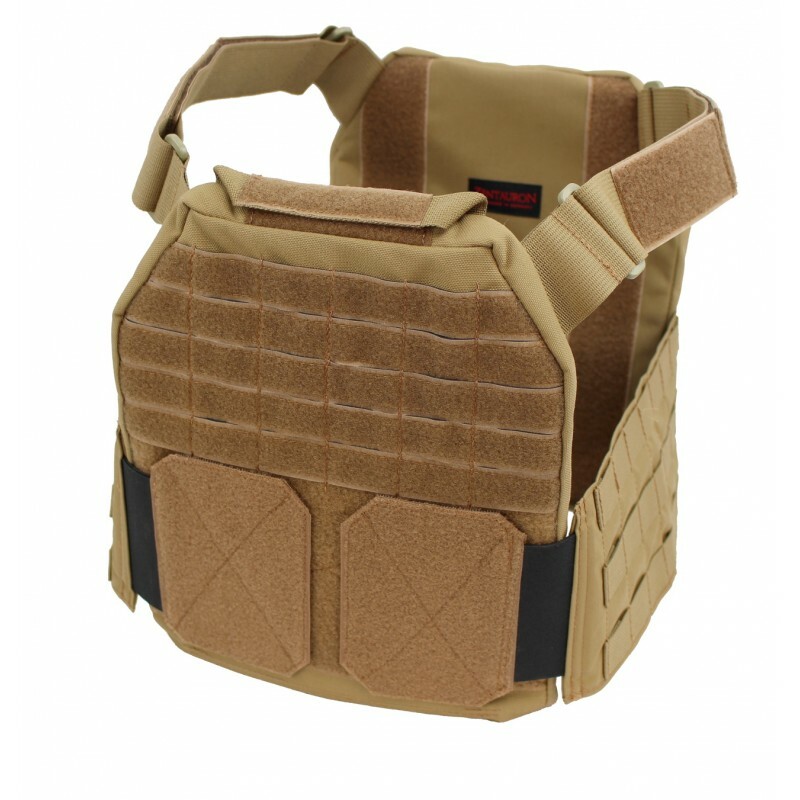 The back plate pocket Vulcan II is fully compatible with the carrier plates Vulcan I. 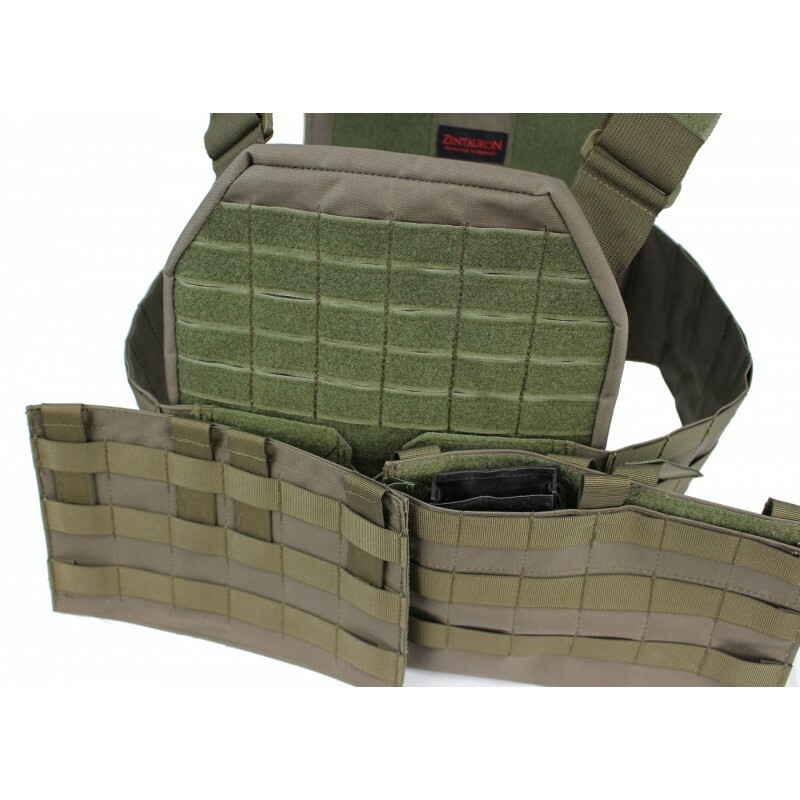 The Vulcan II front plate pocket is adapted to receive normal SAPI plates. 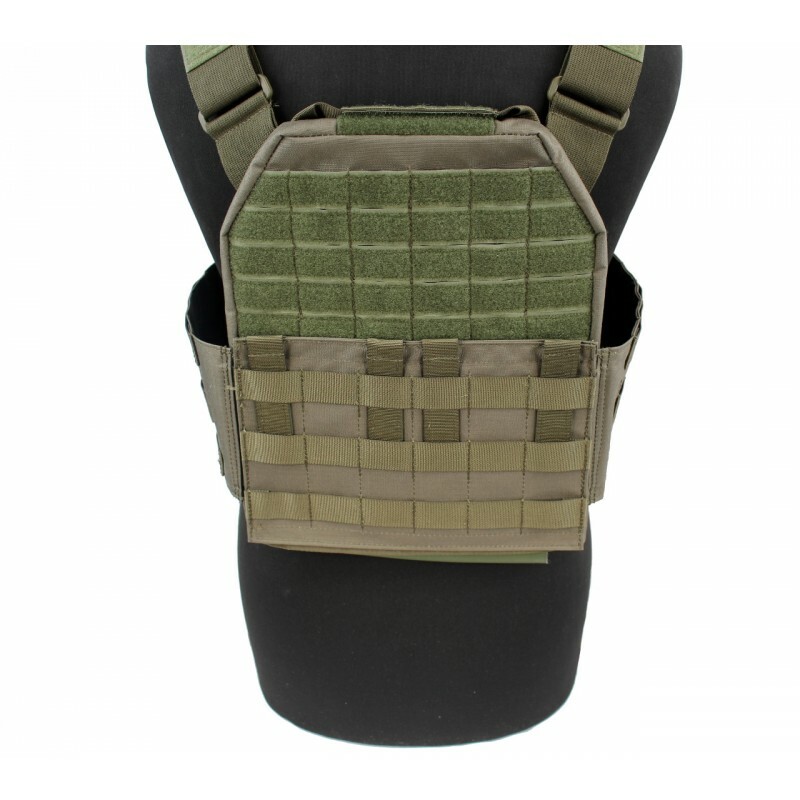 The front is completely covered with Velcro, of which the upper half velcro MOLLE is where can be Velcro parts and modular pockets fasten. 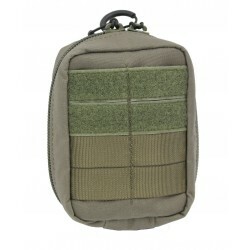 The optional Modularflaps leave here safely fasten. 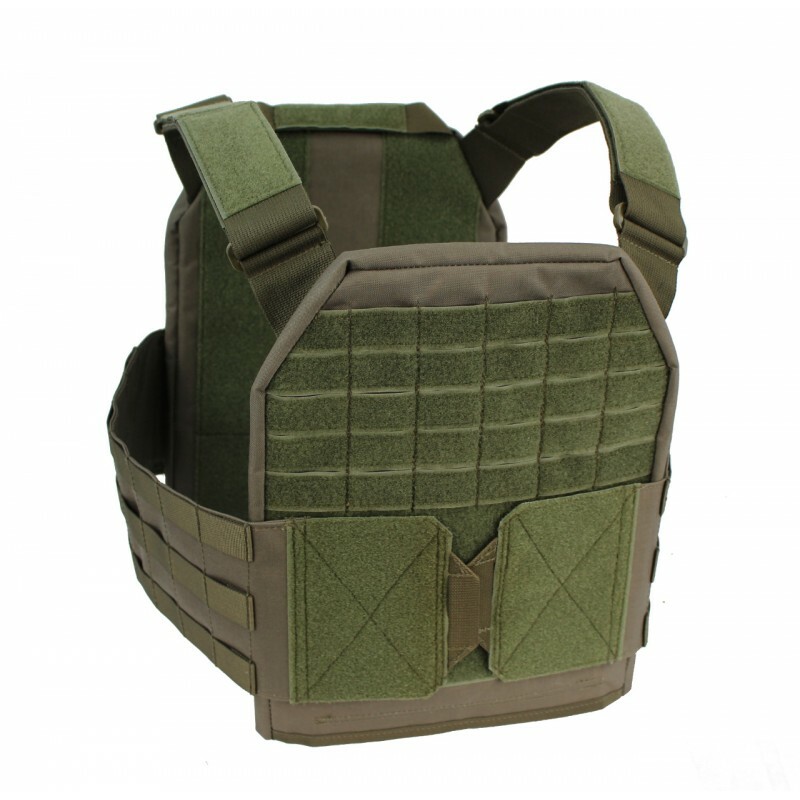 Due to this design, we achieve an extremely low profile. 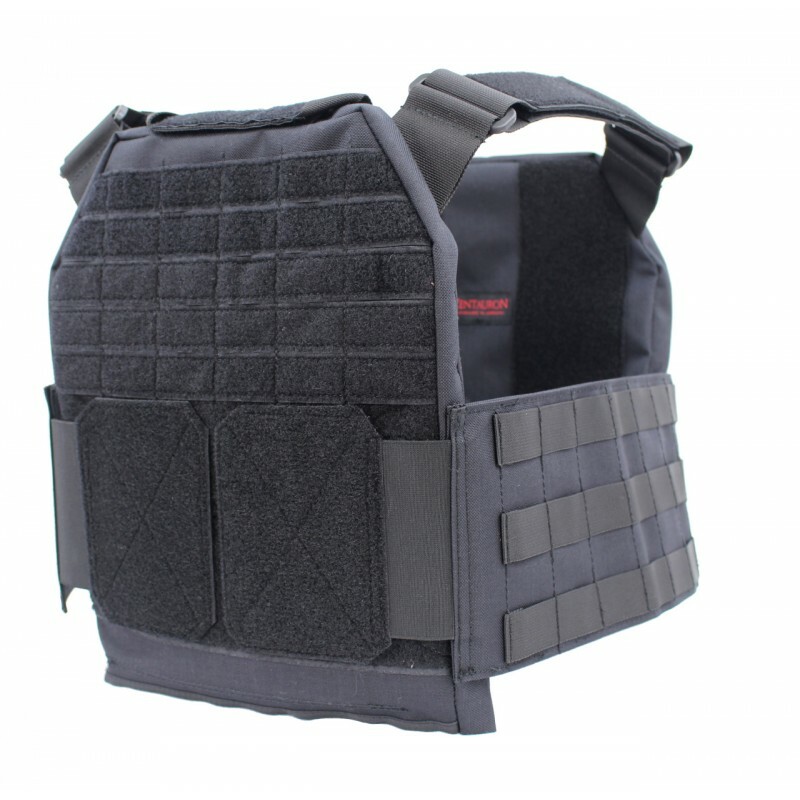 This allows the plate carry concealed under the normal outerwear. 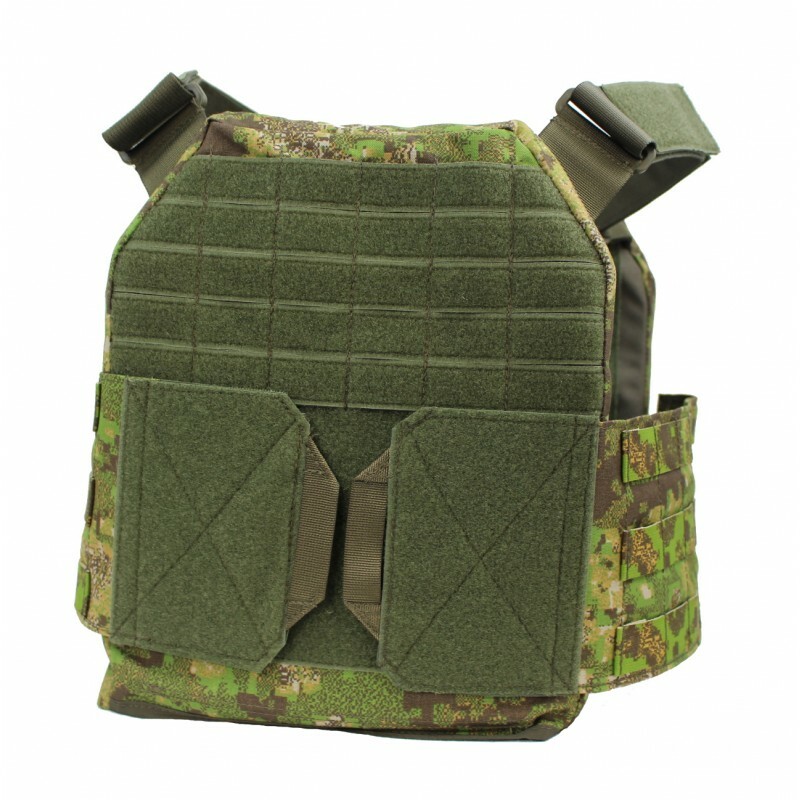 Inside are two generous Velcro strip on which can be Velcro in our modular padding for individual increase the wearing comfort. 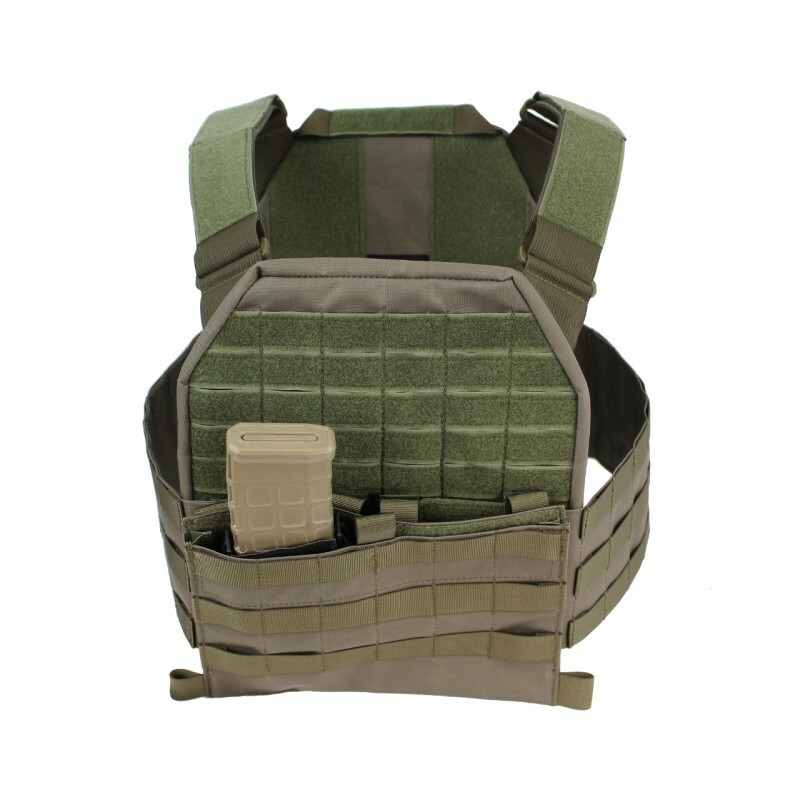 The back plate pocket Vulcan II is fully compatible with the carrier plates Vulcan I. 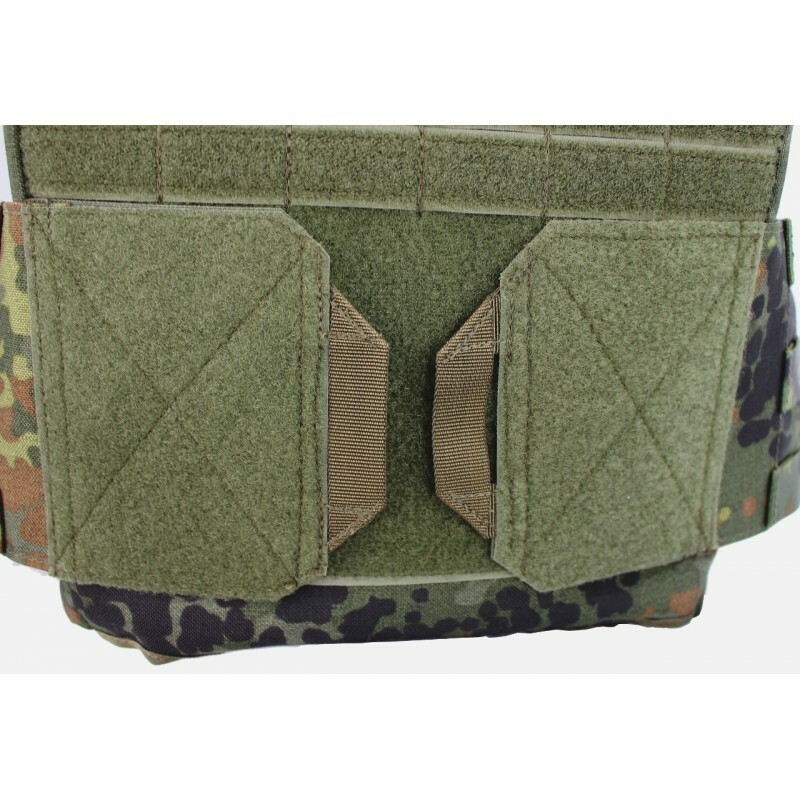 The Slim Molle cummerbund has arisen in the course of development of the Vulcan II and allows a very flat stretcher way as under clothing offers, but also the possibility of modular bags to be attached to him. 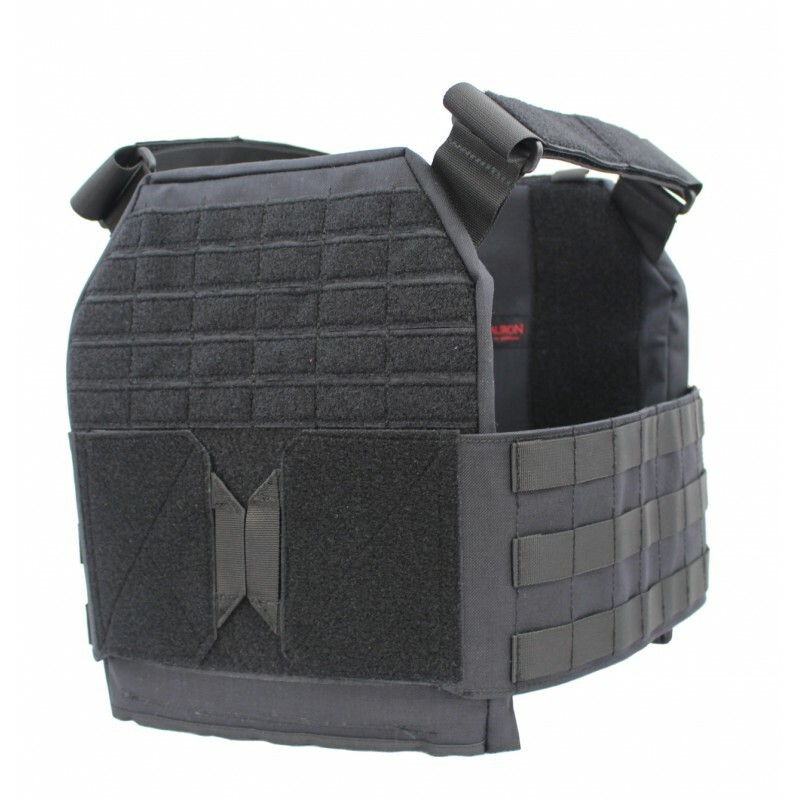 About a stable rubber at the rear of a tight fit on the body is ensured and prevented even when fully loaded, a round swing of the disk medium. 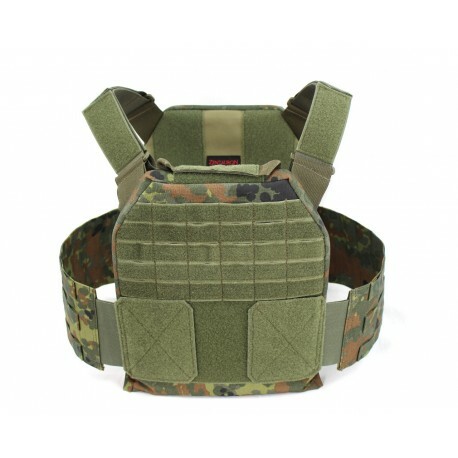 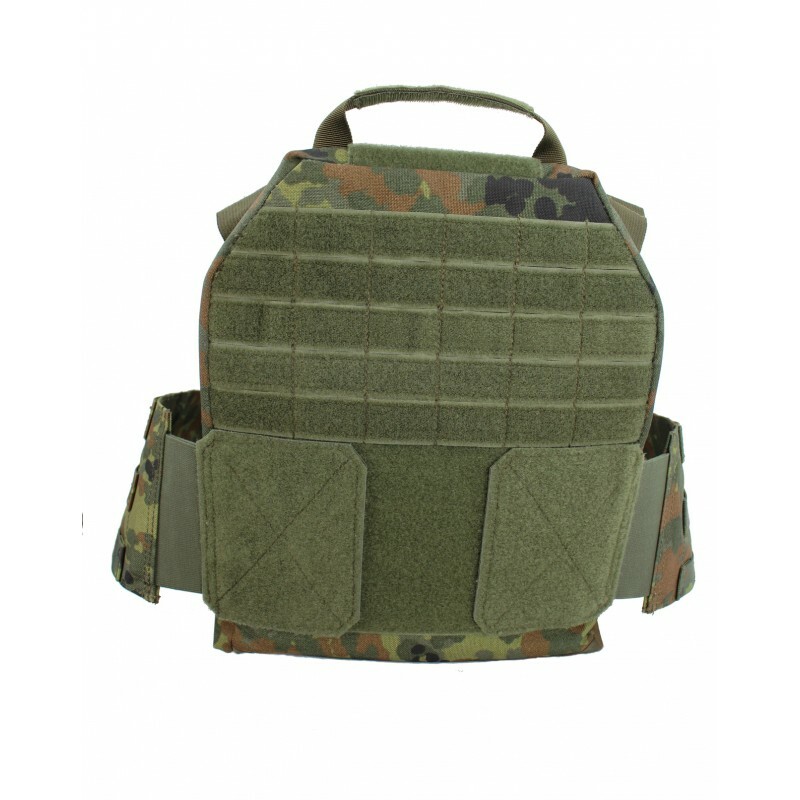 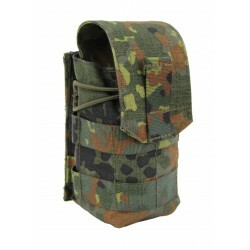 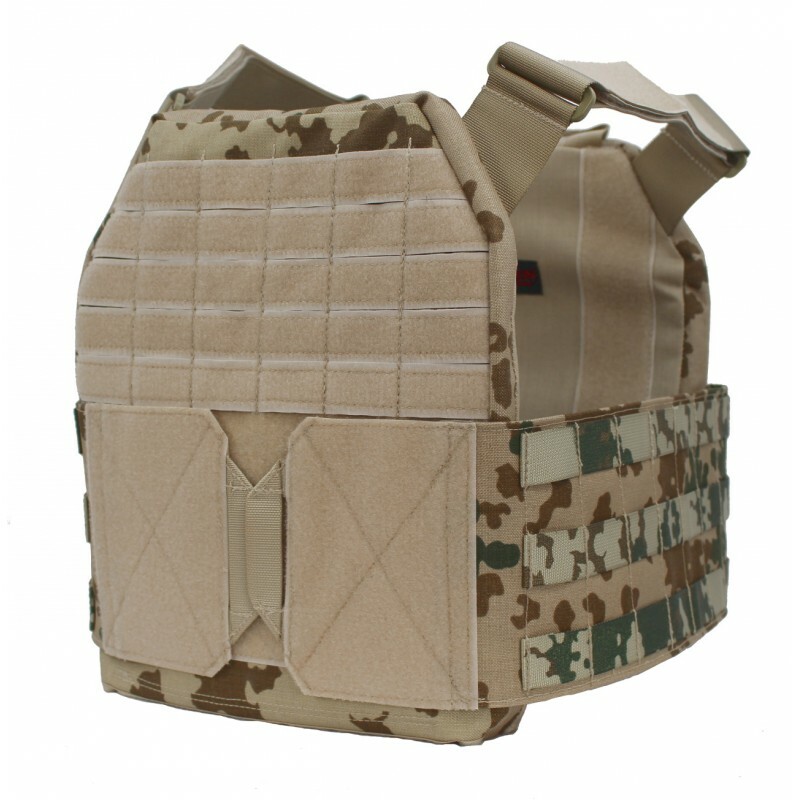 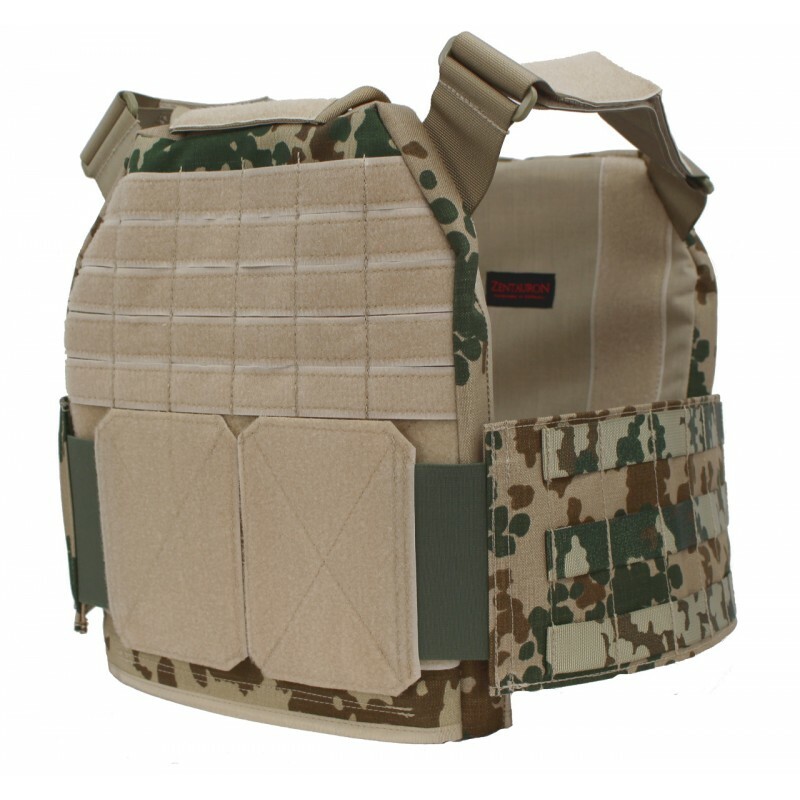 The Slim MOLLE grief Bunde are continuously adjustable on both sides via Velcro and are compatible with its predecessor, the plate carrier Vulcan I. The Vulcan shoulder straps (pair) fit all ZentauroN plate carrier as Vulcan I & II and the plates Harness- (Vulcan Light). 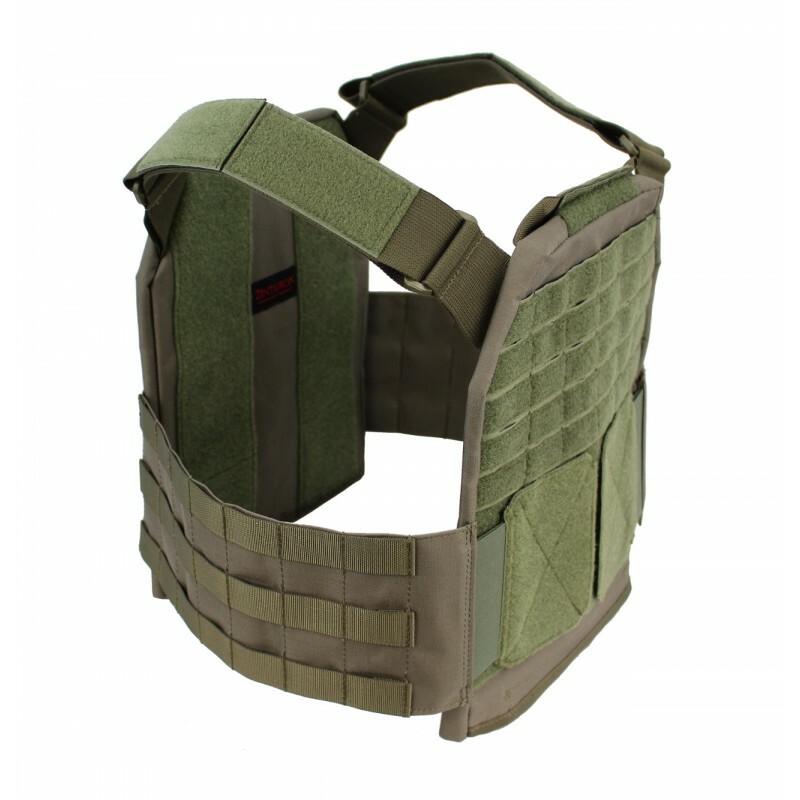 It is continuously adjustable on both sides and has on top of additional Velcro surfaces for attaching shoulder pads.